and see their creative display of artist trading blocks. The idea has quickly caught on and now they have a whole team of designers working with The Artists On The Block. I really like the tools they are using for ATBs, the cutting die makes it quick to assemble and the mat board is perfect for all kinds of crafting. The mat board took the ink and paint really nicely and going to be the base of more projects soon. 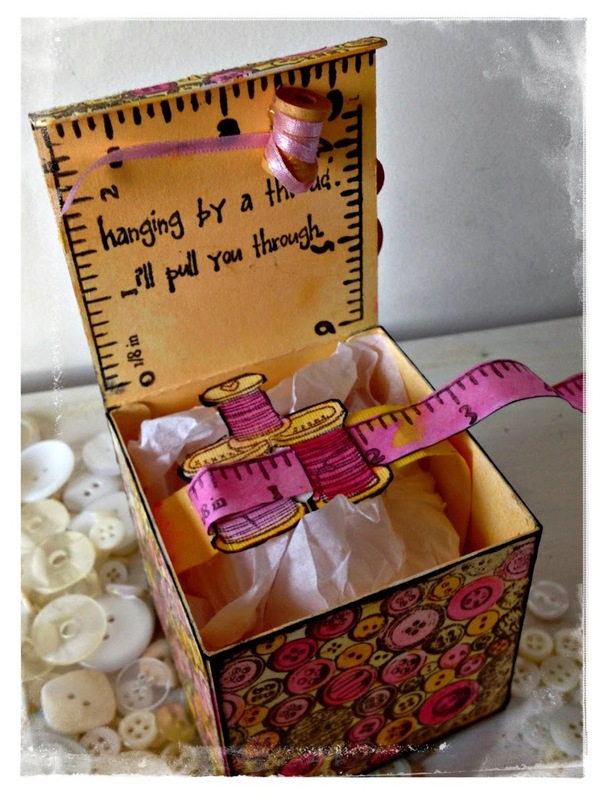 Stamping the thread spools on a scrap of cardstock and cutting a strap to wrap over the gift inside the box adds to the layers of details and surprise. 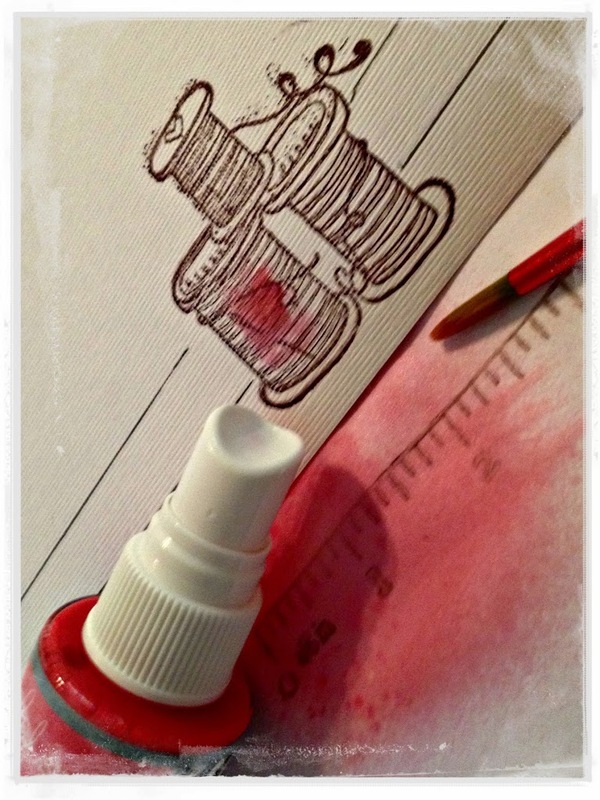 To make a flexible measuring tape, the best base is watercolour paper, simply stamp, mist or paint, cut out and wrap around the spools. Other products used, Dark Room Door button stamp, Unity Stamp Company hanging on by a thread, Maya Road ruler stamp, Heidi Swapp Color Shine. This is a wonderful idea and just delightful! I love the cutting tool! Don&#39;t you just love the ATB&#39;s! They are addicting! Yours is awesome and very colorful! I am not a great at using bright colors, so I envy those that do! Mandy I am just now seeing this cool ATB! Love it- clever idea! Will pass the link along to Amy and we can feature your project on our site, if that&#39;s OK… Thanks for working with the ATB! 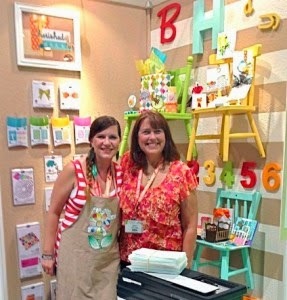 Love your sewing theme for your ATB. The ideas are just endless with these fabulous boxes.